Data Radio is a feature that allows users to create their own Radio channel and broadcast text & Audio messages. Their listeners will tune their channel and will receive broadcasted messages and audio. 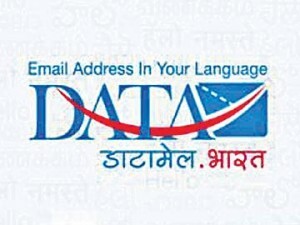 DataRadio is an inbuilt feature in DataMail which is designed to flash one-way information/ communication to the audience. It includes both voice and text based social media feature which is available to DataMail users free of cost. User can start their own ‘DataRadio channels’ to amplify information in text or voice format to their fans / listeners/ followers of same interested group. This powerful feature in DataMail mobile app for android and ios is based on a push notification methodology where audience will be notified whenever there will be a broadcast message from their tuned channel user will receive notification on home screen in which user can play and pause the voice message from the notification itself or view text on home screen . 1)Digital connect → DataRadio is an innovative way to bring people on a digital platform by creating their own channel or tuning channels. The share feature in DataRadio allows user to connect with millions of users on a single DataRadio channel. Also, the tuned channel can be further shared to more users thus, it helps in forming a wide social network. 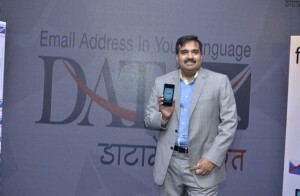 2)Enabling communication in own language → it felicitate both sender and receiver to send and receive voice and text messages in native language. 3)No troll → DataRadio is one way communication channel which is designed to keep control in revealing identities of sender and receiver unrevealed and secure from the malice of ‘trolls’ and abuse which may happen in case of other social medias. However in case if sender and receiver wish to disclose identity. Sender/ channel owner want to receive feedback then broadcaster have a right to do so while doing broadcast . 4)Simple, secure, reliable and free of cost – easy to connect with people on a secure platform. DataMail service is using many types of encryption for security purpose at server level (transport layer security ),ssl secure socket layer. That too without paying a single penny. DataRadio feature is available on both ios and android platforms with text and voice notification feature. DataRadio is free of cost feature of DataMail , everyone can use this feature to connect with their peer groups. It is of great use for ministries and the allied departments in the country, panchayats , doctors, banks, education universities, Lister personalities where one way communication plays a major role. 3) Listen to voice message anytime and anywhere. Open DataMail app and open DataRadio either from menu bar or radio icon on your android phone. To create your own radio channel click on “create channel” option , type channel name & click on “create” channel. And share your channel through share option and send invite to your targeted audience to tune your channel. Your friends/fans/followers or we can say your audience with whom who have shared your channel will receive the message which contains your channel name and link of DataMail app . If the DataMail is not installed in your friends/fans/followers phone then they can install DataMail app form link. And join your channel once they join you can view count in your channel and they get option to further share your channel with same interest community. Note : - The moment your friends/fans/followers tuned to your channel your channel will display the total number of the listeners tuned yo your DataRadio channel. Open the message shared with you. See the channel name. Now open your DataMail app and click on the radio button then click on the “tune” option and type channel name that you want to join and click on “join”. You will see that the channel name will get added in the “tuned channel” list. Note : - to tune channel you must know the channel name. To broadcast message click on broadcast icon in adjacent of channel name . Type “subject name” and text message select “text option” and click on broadcast. You can also broadcast voice message with the option “message” to do so click on the speaker icon. Now start recording your voice message. Once you are done with your recording click again on the mike icon and then click on broadcast. When broadcast will be received at the listeners end push notification will be received. User can select that notification & can view list of all the messages that are received through channel user can receive audio messages also in push notification and there they can play/pause it.